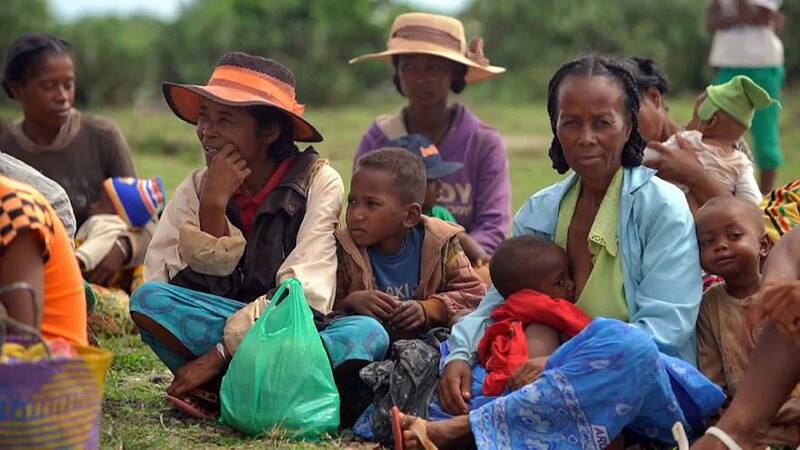 As part of a report on the severe drought blighting Madagascar, Aid-Zone spoke to health workers and locals in the south of the country about the daily challenges they face. Once a week dozens of mothers gather at the Nikoly health centre carrying their babies in need of assistance. A nurse is here to treat severely malnourished children. The drought has left its mark on the population. "When I can't find anything, he doesn't eat"
UNICEF, financed by EU Humanitarian Aid, supports all the health centres located in the eight southern districts of Madagascar, the ones most hit by drought. "We have no money to buy food. I give my baby anything I can find, but when I can't find anything, he doesn't eat," insists one mother while holding her son. UNICEF supports around 14,000 children in Southern Madagascar, out of around 25,000 who are in need. "We offer ready-to-eat therapeutic food. It comes in little bags that need no preparation. We also give antibiotics. Children come here every week for eight weeks. They receive the treatment and diagnosis in order to be sure that there are no complications." Désilets says.